When it comes to tackling the tough jobs at work and the tough terrain at play, you know that the Dodge Ram delivers. Whether you're hauling a load of debris from the job site or towing your boat to the lake, the Dodge Ram will get it done with ease. 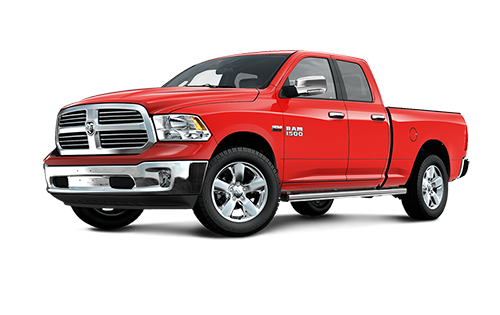 It's time to get into the driver's seat of a Ram that's just for you, and you need a Dodge Ram Dealer near Kingsville. Choose Leamington Chrysler, just a short drive from Kingsville and well worth the drive. At Leamington Chrysler, we strive to go above and beyond for you every time you visit, whether you're looking at our extensive selection of Ram 1500 pickups or getting an oil change on your Ram 2500. Come and visit us at 170 Oak Street W, Leamington, ON or call 519-326-9052 and get behind the wheel of your new Dodge Ram pickup today. Would you rather do some browsing online before making the trip to Leamington? All of our inventory is available for browsing on our website so you can do your research from the comfort of wherever is most convenient for you. When you see something you like, give us a call and we can set you up with a test drive. Savvy shoppers know that the key to getting a great deal on a vehicle is to find it in the used inventory. You'll get a great deal and a great vehicle in our pre-owned inventory. All pre-owned vehicles come with a CarProof vehicle history report so you're well informed of any accidents, major repairs, and unfixed safety recalls. Keep your new or new-to-you vehicle performing at its best by taking it in for regular maintenance to our Service Department. Our highly certified technicians are well trained to service all makes and models and will have your vehicle tuned up and running in a timely manner. Book your service appointment online today using our fast and easy service form. Do you need an auto loan for your next vehicle purchase? Stop by our Finance Department and speak to our experts! We are committed to finding you the best auto loan for your needs at the lowest interest rates possible. Get pre-approved for financing using our fast and secure online application!